City: Cucuta Country: Colombia Loan Use: To open another small grocery. Noralba Echavez is a hardworking mother of three who lives in Cucuta, Colombia with her husband and three children. Several years back, Noralba started a small store to provide a variety of snack foods and grocery items for those in her town. It hasn’t been easy for her family, and there was a time when Noralba was not able to afford to meet the daily needs of her children. Everything began to change for Noralba when a friend introduced her to Opportunity International. 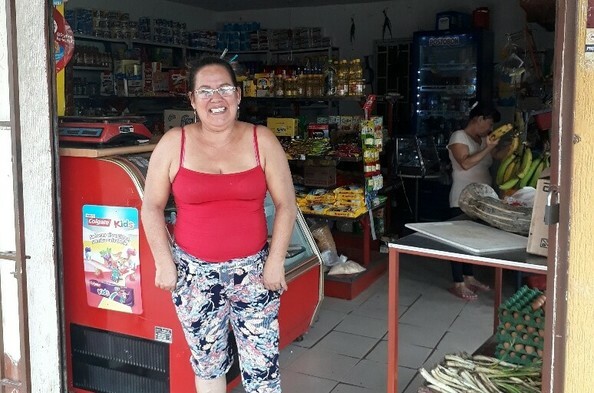 Noralba received financial training and a loan to invest in another shop in a part of town with more profit potential. With additional money from the loan, Noralba also purchased inventory in bulk. With more grocery items to sell and a greater diversity of products, she was able to attract new customers and increase her sales. Thanks to the loan she received, Noralba will be able to save for her children’s education and future.